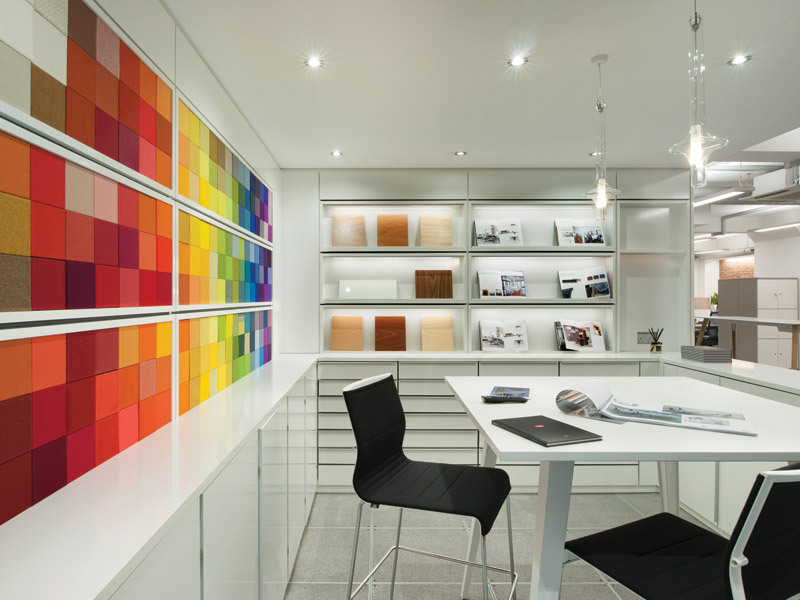 For this London shop window for commercial furniture manufacturer Task, Resonate Interiors elevates the company’s products into prime positions. 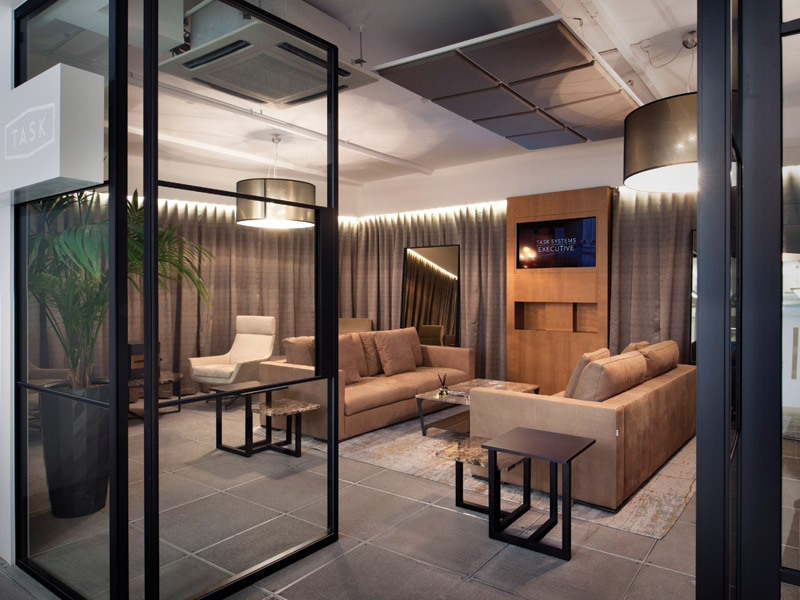 Resonate Interiors was briefed by commercial and hospitality furniture manufacturer Task to provide a showcase for its portfolio of products and has delivered a redesigned showroom that does just that, in addition to providing a working space for staff. The scheme focuses on the furniture and elevates pieces within the space to take centre stage in the two floors of the showroom. The ground floor takes on a white gallery theme with white monolithic display plinths, which help to define key areas and collections, performance stages and ‘cat walks’ for furniture. 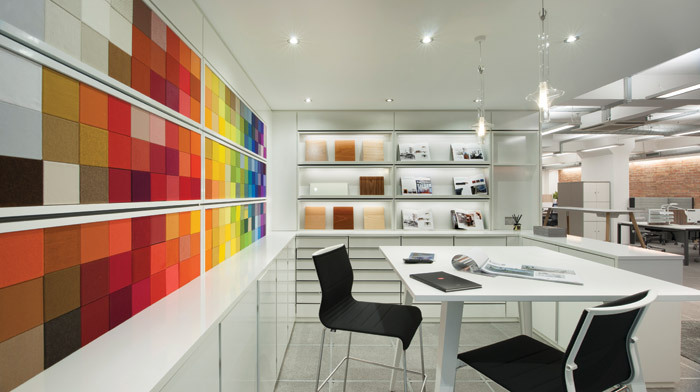 Floating ceiling rafts echoing the plinths below cast uniform light over the set pieces, and mirrored surfaces enable customers to get a 360-degree view of the products. 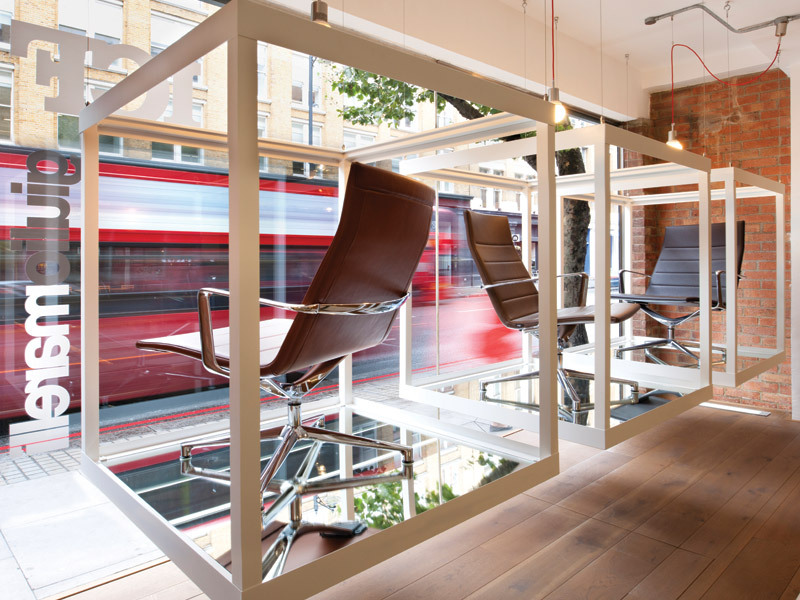 Executive chairs are positioned mid-air and suspended frames provide an interesting and vibrant shop front, while allowing an uninterrupted view from the street to the gallery beyond. 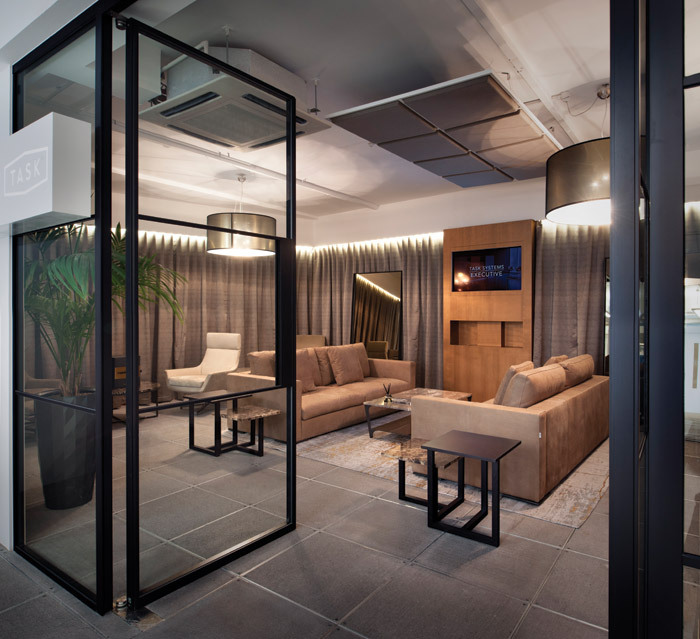 Black Crittal-framed glazed partitions sit behind the bespoke reception/display/bar area and is a nod to the industrial context of the building, along with the exposed brick surfaces. On the other side of the glazing is the Marelli Lounge, featuring a choreographed collection of fabrics and warm bronze hues. The lower-ground floor accommodates the everyday working environment and staff of Task, but amid a backdrop of hanging, back-lit chairs and display plinths. At the rear of the space is the executive boardroom placed behind similar black Crittal framing, as in the reception area. A courtyard transformed into a Zen garden for staff also features in an existing light well. ‘Overall this is a scheme that celebrates the products,’ says Pernille Stafford, principal at Resonate Interiors. ‘[It themes] the interiors in a very neutral but sophisticated way that enables the individual pieces to shine.